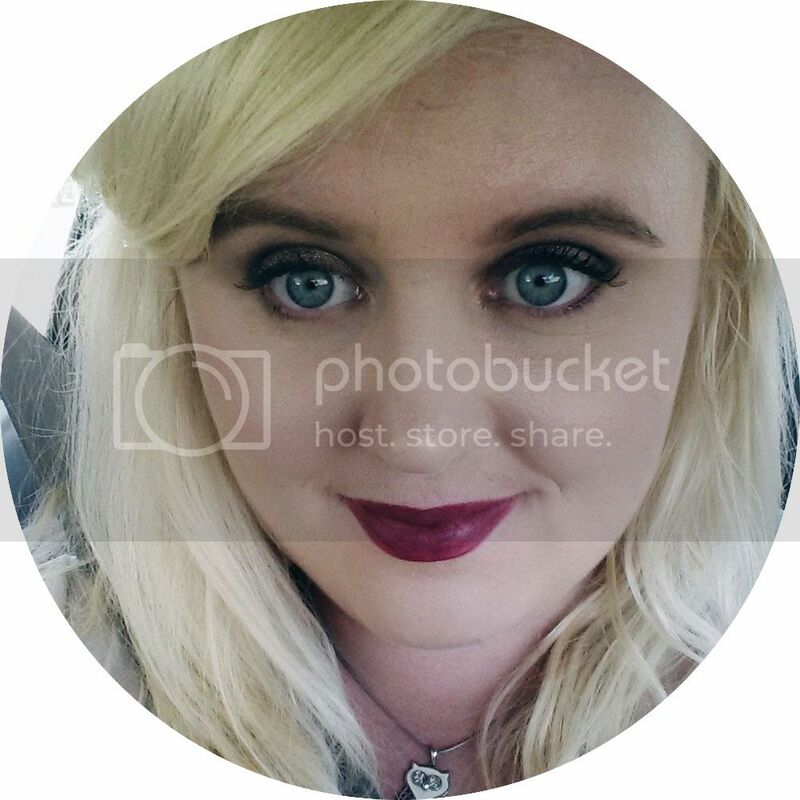 * Mishelle's Sleepy Time *: Moisture? You Betcha! As someone who generally enjoys being Australian, when I find a good aussie brand or product, I do tend to get very excited. I had heard ravings of Aesop from a few British bloggers in the past, but it wasn't until I ventured into their new store in Perth City that I realised that they were an Australian brand! Credit card at the ready, I scanned the shelves with a keen eye and came home with a couple of treasures, one such item being the Camellia Nut Facial Hydrating Cream. And boy is she a beauty! The Camellia Nut Facial Hydrating Cream is a melting pot of plant oils and extracts. 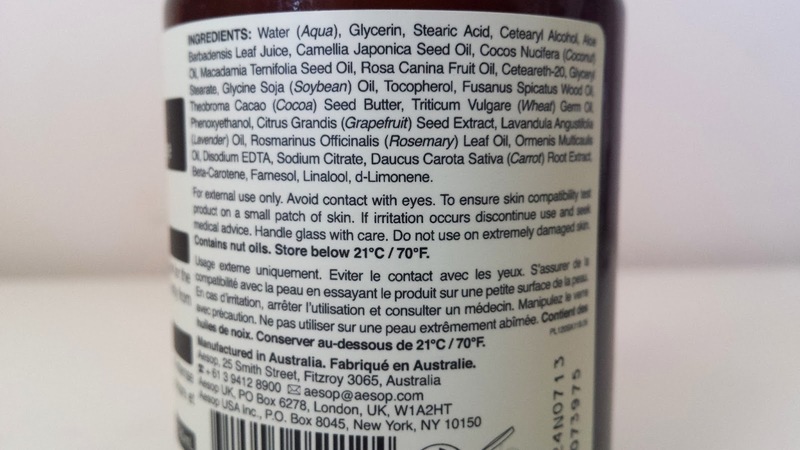 Key ingredients include Camellia Nut Oil, Coconut Oil and Macadamia Nut Oil. It is designed for dry and sensitive skin, but my skin type is "does whatever the hell it wants on any given day of the week". 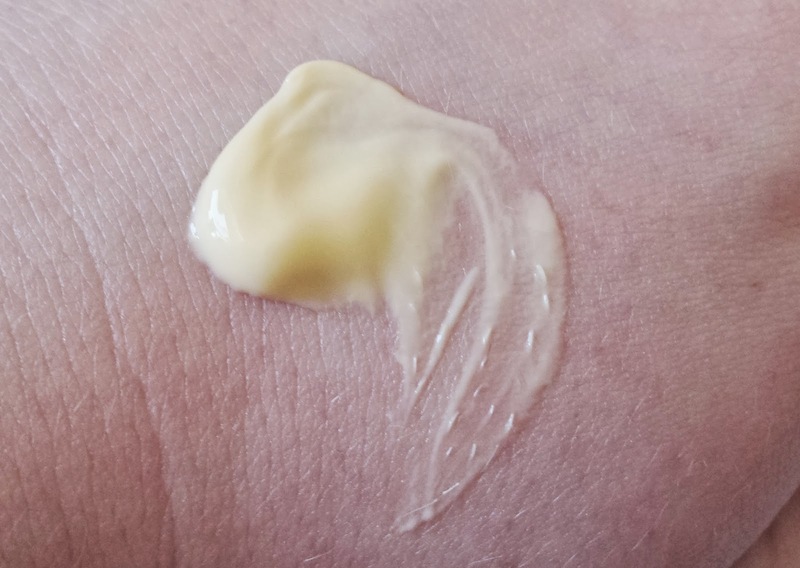 This moisturiser has a heavier, oilier texture to it. Your skin feels amazingly nourished when this is applied to it. The thing that strikes me about this moisturiser is the fact that despite feeling heavier it absorbs very quickly into the skin. But the best thing about this product is the effect it has had on my skin. It has left my skin feeling softer, my skin tone is more even and less red. I have even noticed since I started using this product that my dark spots from blemishes have faded unusually fast! My skin's texture has improved dramatically and I am loving it. Would I recommend this product? Oh god yes. 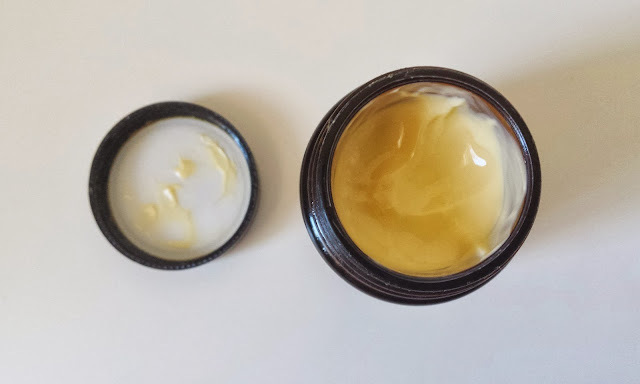 I think it would do better on normal to dry skin but if you have oilier skin you could definitely use this as a night cream if you are looking for something a bit heavier. 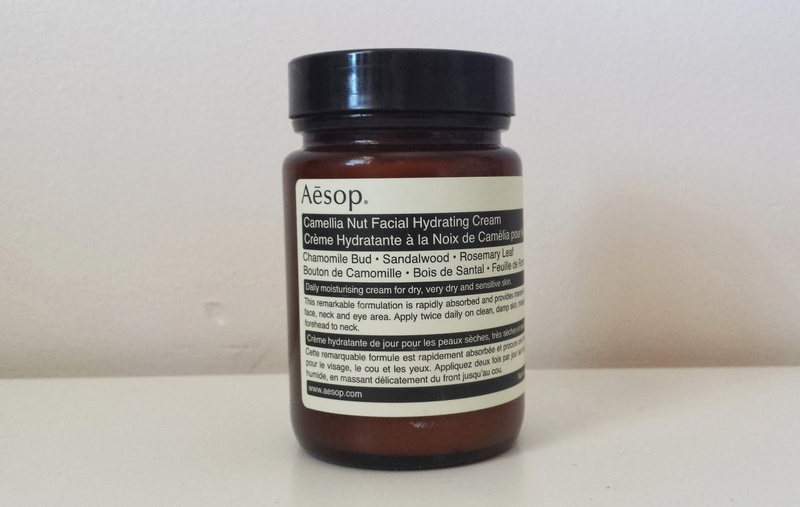 If you are near an Aesop retailer soon, I would highly recommend you grabbing a sample of this. Aesop are very generous with their samples! The 120ml size retails for $67. Have you tried anything from Aesop? What is your favourite Australian brand? I am addicted to Aesop. I use their shampoo, face products, body products, hand wash...yet somehow I didn't realise they have a new Perth store until an Aesop salesgirl in Melbourne told me when I was visiting there last week. I can't wait to check it out. The stores have the most stunning fit outs. I have heard a lot of good things about aesop. it is available here as well but quite expensive, that's why I haven't tried anything from the brand. Wow this cream sounds like a dream. I've always wanted to try Aesop products but I never knew where to start, but now I do. I'm quite intrigued to see how this will compliment my oily skin type. Oh WOOO this moisturising cream is 120ml?! It's pretty huge and $67 does worth it compare with international brands, when Lancome moisturiser probably around $100. only the most beautiful glamgown dresses reviews ontario are meant for a perfect beauty like you! if you pick up dresses,http://www.jadegownshop.co.uk gives you amazing choices.